‘friends come together’ to make a gin, really turns out to be a good idea! We wanted to make a straightforward and honest gin, no BS. Loved by many and affordable for everyone. Hell yeah, we were really serious about it. Patiently distilled in small batches, using traditional copper pot stills, Bro’s gin was born. A magnificently well balanced London Dry gin, full of flavour and not just for tonic. Bro’s gin is a herbal gin with a subtle touch of citrus. 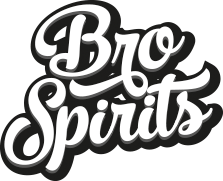 Bro’s gin is infused with 13 botanicals including: juniper berry (thank God), rosemary, lemon, orange peel, cardamom, Java pepper, basel, coriander and even apple. A new gin? Yes. Really? Yes. Belgian? Yes. to make gin’ really turns out to be a good idea! with its own personality. A straightforward and honest gin, no bs. every Michelin Star restaurant in Belgium. We wanted to make a straightforward and honest gin, no BS. Loved by many and affordable for everyone.